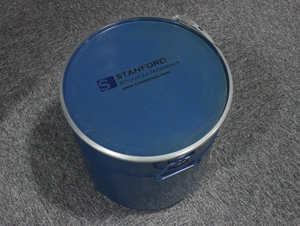 Tantalum oxide (Ta2O5), also known as tantalum pentoxide. 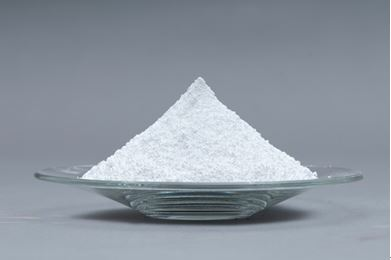 Tantalum pentoxide (Ta2O5) powder is used in the production of lithium tantalate (LiTaO3) single crystals. These single crystals are cut into wafers and are used as a substrate for manufacturing surface acoustic wave filters. These SAW filters made of lithium tantalate (LiTaO3) can be used in mobile end devices such as smartphones, tablet PCs, ultrabooks, GPS applications and smart meters. SAM can provide ultrapure tantalum pentoxides, which feature especially good flow characteristics due to their narrow grain size distribution. It can be used in crystal industry. Our tantalum pentoxides also can be used in the production of sputtering targets, with which anti-reflective layers are applied to optical lenses using physical vapor deposition (PVD). " 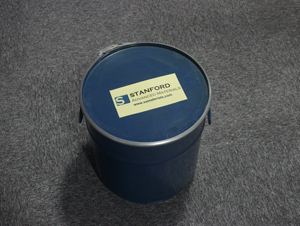 Special particle size can be customized upon your request. Tantalum oxide is clearly tagged and labeled externally to ensure efficient identification and quality control. Great care is taken to avoid any damage which might be caused during storage or transportation.